The University of Maryland’s A. James Clark School of Engineering mourns the recent loss of its leader and trailblazer, Marilyn Berman Pollans (Education M.A. ’73, Ph.D. ’79), on June 17, 2018. Pollans served the Clark School as a former associate dean, member of its Board of Visitors, founder/supporter of its Women in Engineering (WIE) program and Innovation Hall of Fame (IHOF), and one of the founding donors of the Women in Engineering Opportunity Scholarship. She also served the larger UMD community as a member of the university’s College Park Foundation Board of Trustees, and in 1991, was awarded the title of “Outstanding Woman of the Year” by the UMD President’s Commission on Women's Affairs. Pollans—described by colleagues and friends as a woman who was “full of energy,” “focused,” and “relentless”—leaves a lasting legacy at the Clark School. Beginning her advanced academic career as a 16-year-old college student, she later emerged as a groundbreaker for increased female and underrepresented minority enrollment in engineering. 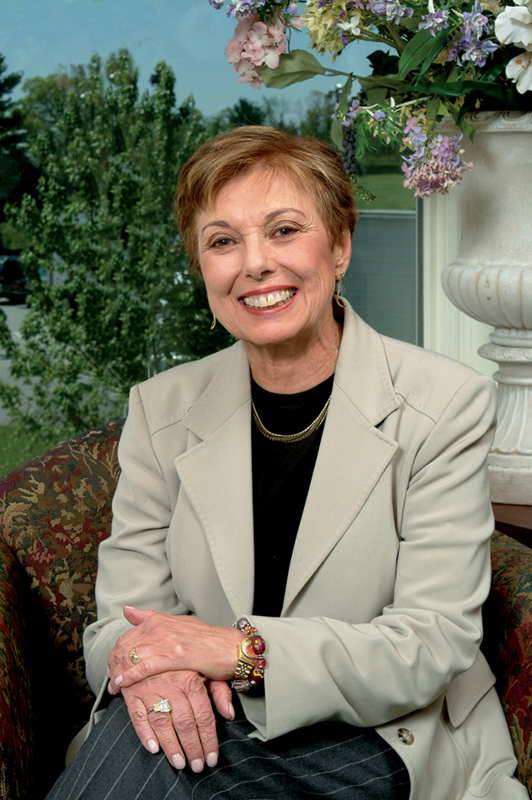 She played a key role in the formation of WIE’s Advisory Board, served as the advisory board’s founding chair, and in 2007 made a gift to WIE to establish Flexus: The Dr. Marilyn Berman Pollans Women in Engineering Living & Learning Community to attract and retain more female engineering students. Darryll Pines, Clark School dean and Farvardin Professor of Aerospace Engineering, said that her name will forever be foundationally attributed to WIE. Director of WIE Paige Smith, who is currently on leave from UMD while serving at the National Science Foundation as the director of the diversity program Broadening Participation in Engineering, remembered Pollans as leaving a legacy of advocacy and action. More than being a mentor and role model, she opened the door for hundreds of women to study engineering by creating access and providing support. The Clark School’s Dr. Marilyn Berman Pollans Outstanding Service Award was established in 2011 in recognition of Pollans’s many contributions to the college. The award honors Clark School staff members whose service to their department, the school, and the university has been judged outstanding. Yet another of Pollans’s legacies is her and her first husband Stanford W. Berman’s creation of the Clark School’s IHOF to recognize individuals that make significant technical contributions to society through engineering innovation—and to inspire young engineers. Pulse Doppler radar, the universal product code, flexible coronary artery stents, and the asynchronous transfer mode switch are only a few of the many wide-ranging technologies pioneered by Clark School alumni, faculty, and friends and celebrated in IHOF. Pollans wrote with Peter Weisz a captivating memoir about her life titled No Is Not an Answer, which focuses on her struggles and setbacks before breaking through barriers to ultimately reach success. Pollans's former colleagues at the Clark School will remember her many contributions to the college, and especially to WIE. George Dieter, professor emeritus of mechanical engineering and former Clark School dean, said Pollans developed ways to get the message to young women in high schools that engineering—and especially engineering at UMD—is an excellent career to study and pursue. “The percentage of engineering students who are female has grown significantly; it used to be around 10 percent, and now it’s approaching 25 percent. That’s a major legacy that she leaves behind,” Dieter said. Pollans also made a big impact on her fellow colleagues, students, and family personally. Clark School Assistant Dean for Finance Maureen Meyer, who began as Pollans’s administrative assistant at the Clark School in 1984, said Pollans was an inspiration who helped her advance her career. “I believe I owe a great deal of my success to her due to her early mentoring and leadership, for which she was an excellent role model,” said Meyer. Pollans’s leadership to students was conspicuous. Pines said that she was a person focused on getting the needs met for students who were from diverse and underrepresented communities by helping to increase access to engineering education. Pollans’s emphasis on education started at home. Her son, Scott Berman, said his mother “encouraged [me] to be adventurous, independent, and inquisitive, not to be afraid of hard work,” and to take chances—his inspiration for enrolling in New York University’s Law School. Berman also attributed his mother’s ability to impact so many through her great wisdom and advice. Pollans leaves behind her husband Albert, three children (Scott [Robyn] Berman, Marcy Berman, and Brian [Marcia] Berman), five grandchildren (Hunter [Stephanie] Berman, Skyler Berman, Jacob [Genna] Berman, Rachel Berman, and Danielle Berman), and countless more family and friends. Danielle is currently attending UMD and, undoubtedly, will continue the legacy of Pollans by her sheer presence on campus.